Reintroducing femininity to a society that’s “gravitated towards shorts” is the mantra of Tahitian born fashion designer, Ida Teiti. Blending modern styles with bright island colours and floral designs, Ida says she wants to show that women can be elegant as well as strong. As a child growing up in Tahiti, Ida’s biggest inspiration was her adopted mother who sewed beautiful dresses for Ida and her seven sisters. Turning her love of fashion into a business wasn’t an easy journey for Ida though. Not only did she open a store during a recession, but she initially began designing clothes with cataracts. Despite her setbacks, Ida says she launched her fashion label ‘Tiare Teiti’ to be a role model for her daughters. “I wanted to show them what a strong and independent woman looked like and that they could do anything they wanted to do,” says Ida. 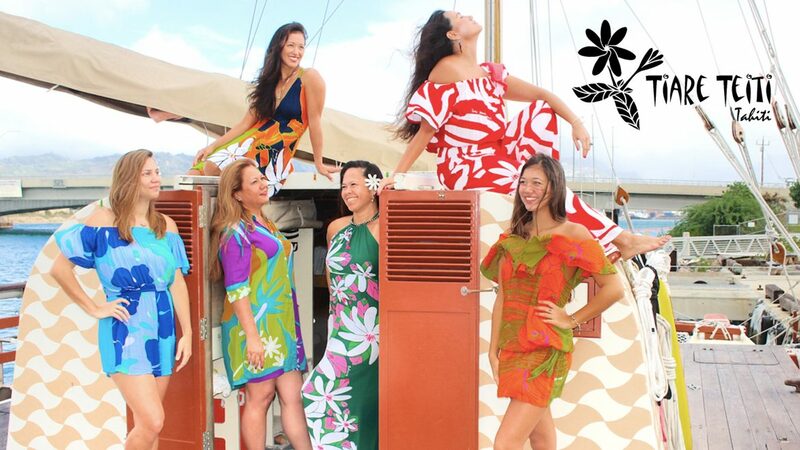 Now operating from her store in Honolulu, Ida’s clothing range includes the popular ‘Iriata’ dress/top, ‘Merenui’ rompers, ‘Vetea’ kimono and ‘Teatea’ yoga pants. New Zealanders will get a taste of Ida’s fashion range at 2018 Pacific Fusion Fashion Show in Auckland this October. “It was an honor to be asked to participate,” says Ida. “I want to show that we as Polynesian people have no boundaries. I am hoping that through this fashion show, we realise that we are one in the same— we are Polynesia.